Did you know that mice and rats can smell better than they can see? They depend on it for their very survival. These three strong-smelling natural rodent repellents exploit this dependency to force them out of your home and keep them far away. Spearmint has a very powerful smell. Most of us love the way it smells, but mice and rats can’t stand it. It drives them up the wall. Fresh spearmint leaves work best. Replace the leaves with fresh ones once the smell starts to weaken. You can place them on a paper towel or a disposable plate for removal. 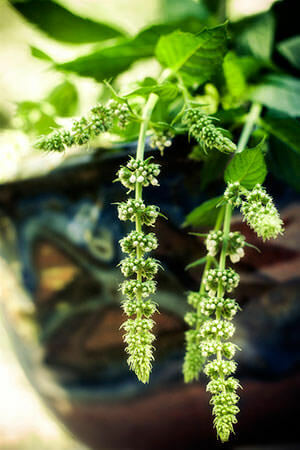 Grow a natural barrier surrounding your house by planting spearmint around it. Not only will it keep rodents out, it will also keep other pests out. One word of caution though. Spearmint can spread very fast. For more control of where it grows, plant them in pots. If you don’t want to deal with the hassle of planting spearmint, peppermint oil is a great alternative. It does the same thing and is used the same way. Soak cotton balls with peppermint oil and place them in in the same locations as you would with spearmint leaves. It will repel rodents until the smell starts to weaken. Once it does, just switch it out with newly soaked cotton balls. Make a repelling spray by mixing the peppermint oil with alcohol. Combine the two in a spray bottle and give it a good shake before use. You can also leave out a little repelling mixture in a container like a bowl or plate. Disposable styrofoam bowls and plates work great for this. Just a little in each container will do. Sagebrush is a common shrub in the western parts of the United States. It has a very strong pungent scent which repels rodents. If you have access to fresh leaves, you can use it. If you’re like me and don’t have access to fresh leaves then sagebrush essential oils will work just as well. Apply sagebrush essential oils the same way you would with peppermint mint oil. Keep it away from kids though. The oils are toxic to humans if swallowed. The extracted oils from the needles of the balsam fir tree give off an odor rodents hate. The slightest hint of it and they’ll go somewhere else. The usual couple of drops of oil on a cotton ball will do the trick. Getting tired of cotton balls? Try something else that will absorb the oil. Wrap wood chips and corn cobs in cheese cloth. It’s not necessary, but it makes removal easier. Cut old towels and sponges into small pieces. All this stuff sounds like too much work, you can just purchase a few pouches of Fresh Cab. For a more in-depth review of the product, you can check out this other page on the site. Using harmful chemicals to get rid of rodents should be your very last option. Give these three natural rodent repellents and try first. Photo Credit: Thanks to Nomadic Lass for the great photo.